Brick, beans, and cod—you know we’re talking about Boston. But nobody bakes beans anymore, and the feds have clamped down on cod fishing. Now, even brick is under siege. In the country’s most famous walking city, the dominance of the venerable paving material has been challenged by the decidedly more pedestrian concrete and asphalt. Leading the attack on brick sidewalks is the city’s Commission for Persons with Disabilities (CPD), which believes that clay pavers do not—and, perhaps more important, cannot—meet the guidelines established by the state’s access code and the Americans with Disabilities Act (ADA). Both codes require continuous smooth walking surfaces with no variations greater than a quarter of an inch. Although brick sidewalks are blamed for tripping hazards and obstacles to canes used by the blind, the most frequently cited concern is wheelchair vibration—a sensation similar to the buh-bump, buh-bump rhythm familiar to anyone who has ever pulled a wheeled suitcase over uneven pavers or driven over cobblestone. “Bricks heave, sink, buckle, and go missing,” says John Kelly, the chair of the CPD and a wheelchair user. “One danger is a front caster wheel running into a missing-brick hole. You’re less likely to fall on concrete.” Vibration can exacerbate some health conditions, he notes, causing spasms and even incontinence, especially in women; Kelly himself is susceptible to motion sickness when traveling over old undulating brick sidewalks. Wheelchair users in Boston tend to plot their routes carefully, taking to streets to avoid especially treacherous stretches of sidewalk. Brick pavers have come under scrutiny in other communities, sometimes with subsequent restrictions on their use. But accessibility advocates, landscape architects, and paving industry insiders say that Boston’s experience could have significant implications for the rest of the country. Kristen McCosh, the commissioner of the CPD, believes that Boston will become a model city for people with disabilities, in part because the advocacy community is so strong. And, because people with disabilities in Boston are much more likely to be pedestrians than those in suburbs or other cities, who rely on automobiles and vans, the paving issue has become a priority. In its essence, the policy says that existing concrete paving cannot be replaced with brick, although brick outside a minimum five-foot-wide concrete travel path is allowed. Existing brick sidewalks can be repaired, but the old pavers must be replaced with wire-cut brick. Draft guidelines issued in July 2011 by Boston’s Complete Streets program under the auspices of the Boston Transportation Department refined the details, some of which are more stringent than state or ADA requirements. The document establishes concrete as the preferred standard but allows other materials including granite pavers and wire-cut brick in some conditions such as historic districts. In practice, any proposed sidewalk that features anything other than five-foot-wide continuous-pour concrete or asphalt is referred to the CPD for review. Boston’s South End neighborhood, a National Register Historic District overseen by the South End Landmarks Commission, is one site of recent skirmishes over the new policy. In the South End, planned repairs to brick sidewalks were put on hold last year because of conflicts between brick and antibrick factions, made all the more murky because federal funding for the project required adherence to preservation standards. Rare is the copywriter who can resist mentioning the city’s brick sidewalks in tourism or real-estate promotions. In fact, clay pavers have long been associated with Boston’s heritage: The Beacon Hill Civic Association was formed in 1922 to protest a city decision to pave over the neighborhood’s historic brick sidewalks. With the city’s economic renaissance in the late 20th century, new brick sidewalks were seen as public amenities. Many of those installations featured molded bricks (such as the City Hall pavers) that, much like the pavers laid a century or more earlier, were typically made from a distinctive indigenous clay. (Wire-cut brick, currently preferred for its almost mechanical uniformity, is an extrusion made from clays found in other parts of the country.) Brickyards once dotted the region and provided pavers with subtle variations derived from the local geology. Today, Stiles and Hart, a fourth-generation family business in Bridgewater, Massachusetts, is the state’s last vestige of a once-vibrant local industry. As in all battles, symbolic victories count. Of these, accessibility advocates are particularly pleased with the new City Hall access project, expected to be completed by July 1. Funding for the project comes from a fine imposed on the city by the state Architectural Access Board for noncompliant sidewalks installed along Huntington Avenue in 2003. Although access for the disabled has been available at the building’s ground level off Congress Street, a new entry path off Court Street will provide access to the main entrance at the upper plaza level. The new paving material? Red asphalt. At the other end of the plaza, a new subway station will likely feature granite pavers, which present a smooth surface and can be produced in larger dimensions, thus minimizing joints that contribute to vibration. Kelly notes that granite can also suffer from poor installation but believes that larger paver dimensions provide a greater chance of success. The demonization of brick has found some support from outside the disability community. But other reactions are perhaps best characterized as frustration, with outbreaks of bewilderment. Many landscape architects, preservationists, and neighborhood residents are concerned about restrictions on the material that is so closely associated with the city’s identity, but few are willing to speak for the record because of projects that may come before the commission, reluctance to confront disabled people, and fear of running up against a powerful mayor. One concern is that the CPD is overstepping the intentions of the ADA, which mandates standards and conditions but not the materials and means to achieve them. Moreover, the CPD’s actions seem to run counter to generally accepted practices in code development. “It’s rare to specify a material as code compliant or not code compliant,” says Vernon Woodworth, an architect and code consultant at AKF Group in Boston. “The main concern is not to be arbitrary or proprietary. Good code provides maximum flexibility by defining specific required conditions that can be objectively measured.” A focus on desired conditions rather than particular materials and methods also reflects a general trend toward performance codes rather than traditional prescriptive codes. Performance codes—which have been adopted by the International Code Council and the National Fire Protection Association, and are also seen increasingly in form-based zoning codes—encourage innovation and allow designers greater creativity in responding to project needs and circumstances. Many landscape architects believe that brick sidewalks can meet the intentions of the ADA and can be designed to avoid problems such as vibration. “We think that brick, if it’s professionally installed, can provide a smooth plane with very little variation,” says Robert Uhlig, ASLA, the president of Halvorson Design Partnership in Boston. “We’ve had very good luck with that.” The key, he says, is the installer. Halvorson was the designer of the Norman B. Leventhal Park in Post Office Square, one of the city’s best-loved public spaces. For that project, wire-cut brick pavers were set with sand-swept tight joints on a level sand asphalt setting bed (a material sometimes called “rice mix”) on top of a concrete slab. Uhlig recommends joints between one sixteenth and one eighth of an inch wide; the commonly specified “hand tight” detail does not accommodate sand and can cause pressure on brick edges that lead to fractures and spalling. Uhlig’s experience is reiterated by Stephen Sears of the Brick Industry Association (BIA). “It’s all about the base,” he says. “Brick is getting a bad rap for an entirely different issue, which is installation.” The BIA publishes best-practice guides to brick construction; its Technical Note 14 series provides recommended details for successful paving installations. Technical Note 14D was released in February to address permeable brick pavement, and a new document, to be published later this year, will focus on accessibility standards. Sears also stresses the importance of maintenance, drawing a parallel to a good car that can run hundreds of thousands of miles if its fluids and brakes are checked. Inherently stronger than concrete—it can be found on vehicular street surfaces—brick can last decades and even centuries but is sometimes subject to benign neglect for that very reason. Perhaps surprising, both John Kelly and Kristin McCosh concede some of these very points—but come to a different conclusion. They believe that wire-cut pavers, laid in the direction of travel by experienced installers, can achieve a smooth, vibration-free surface. But neither Kelly nor McCosh trusts that necessary future repairs will be performed, even with maintenance agreements in place. This is where bewilderment sets in among those who think that brick pavers are a superior material. Everyone can point to examples of failed concrete and asphalt—gaping cracks, lumpy surfaces, missing paving, and slippage along concrete control joints of seemingly seismic proportions—all presenting equally serious hazards, all requiring repair. If vibration problems can be addressed through design, then singling out brick as the greater future problem seems arbitrary. More confusion comes from the fact that even those in the disabled community sometimes come to different conclusions. The Stiles and Hart pavers that have been banned in Boston were installed at the Tammy Lynn Center in Raleigh, North Carolina, in a playground designed specifically to accommodate special-needs children in wheelchairs. 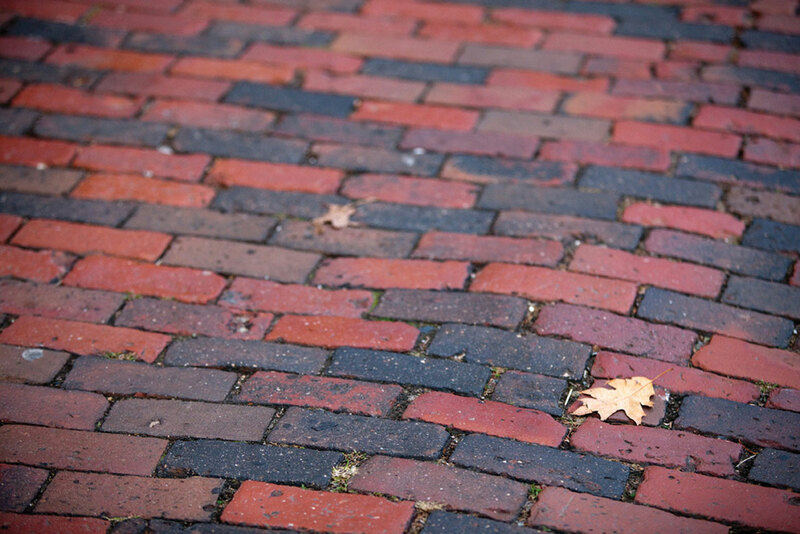 Where brick pavers are required in historic districts in Boston, they must be laid in the direction of travel to minimize joints contributing to vibration, but other communities specify laying on the bias or in herringbone patterns. And in 2002, a study by University of Pittsburgh professor Rory Cooper, a respected authority on assistive technology who is a wheelchair user, measured vibration on six sidewalk surfaces and found that brick pavers perform as well as or better than concrete. (John Kelly disputes the methodology.) That study was funded by the paving industry—easy grounds for dismissal—but also by the Department of Veterans Affairs Rehabilitation Research and Development Service, the Veterans Health Administration, the U.S. Department of Veterans Affairs, the U.S. Department of Education, the National Institute on Disability and Rehabilitation Research, and the Rehabilitation Engineering Research Center on Wheeled Mobility. More recently, a 2009 proposal to ban brick pavers in Montgomery County, Maryland (which includes Bethesda, Rockville, Silver Spring, and Chevy Chase), was amended after input from municipal staff, members of the disabled community, residents, and the Potomac Chapter of ASLA. Brick pavers are now permitted in paths of travel if they are installed in accordance with what is called the Bethesda Standard under conditions that provide for ongoing maintenance. The standard, developed for the core district of Bethesda to ensure quality control and design uniformity between public and private projects, provides a smooth surface that successfully resists local freeze/thaw cycles and the pressures of tree roots. Specifications require brick set in a herringbone pattern with a sand/cement sweep, an adhesive coat of neoprene-modified asphalt, a bituminous setting bed, and a poured concrete base over a compacted aggregate subbase. Betsy Luecking, the disability policy specialist for Montgomery County, reports that the members of the Commission on People with Disabilities were “pleased” with the resolution—although they do remain concerned about older existing brick sidewalks. The Montgomery County experience offers a model of clarity and speed that would make a Bostonian gasp. In comparison, Boston appears to be barely slouching toward a resolution—in part because the CPD seems to have declared victory. But technically, the CPD is only one of several commissions and agencies within city hall with jurisdiction over public ways; others are said to be pushing greater flexibility. A new initiative spearheaded by the Boston Preservation Alliance in partnership with organizations that represent accessibility, bicycle, and pedestrian advocates hopes to identify collaborative solutions. Left out of the discussion for now seem to be sustainability considerations. Both concrete and asphalt have high carbon footprints, and asphalt contributes to heat-island effects. Durability and longevity are finding their places as measures of sustainability. The importance of increased permeability is gaining recognition, especially in this city where groundwater depletion threatens thousands of properties built on wood piles. Urban environmentalists hope to create less hostile conditions for street trees. Finding appropriate solutions for all these concerns will require technical and professional expertise, objective consideration of all available materials, and a commitment to both monitoring and maintaining new installations. In the meantime, granite pavers will probably become more common in Boston’s high-profile public and private projects, while concrete seems almost certain to proliferate by default, simply because many projects will not warrant the time or money to persuade the CPD to accept alternatives. Mayor Menino has at various times been declared the preservation mayor, the sustainability mayor, and now the accessibility mayor; wearing all those hats at once would give anyone a headache. But the world of politics is all about balancing conflicting values, priorities, standards, and goals. Discussions of Boston’s brick sidewalks often reveal concerns about more than the need to provide safe passage: class issues and privilege, human scale, authenticity and identity, the tourist economy, political transparency, and local jobs and products. “The sidewalk is the most public of public spaces,” says Anastasia Loukaitou-Sideris, a professor of urban planning at UCLA and the coauthor of Sidewalks: Conflict and Negotiation over Public Space. Since sidewalk ordinances were first established in the late 18th century, sidewalks have been contested terrain, with disputes over access, ownership, and fundamental rights. In the 19th and 20th centuries, the focus was the right of public speech. In the 21st century, the civil rights of the disabled have been added to the fracas. Today, John Kelly’s screensaver displays a rendering of the new red asphalt access route. After nearly a decade of hard work on behalf of Boston’s disabled community, he no longer has to fight city hall. 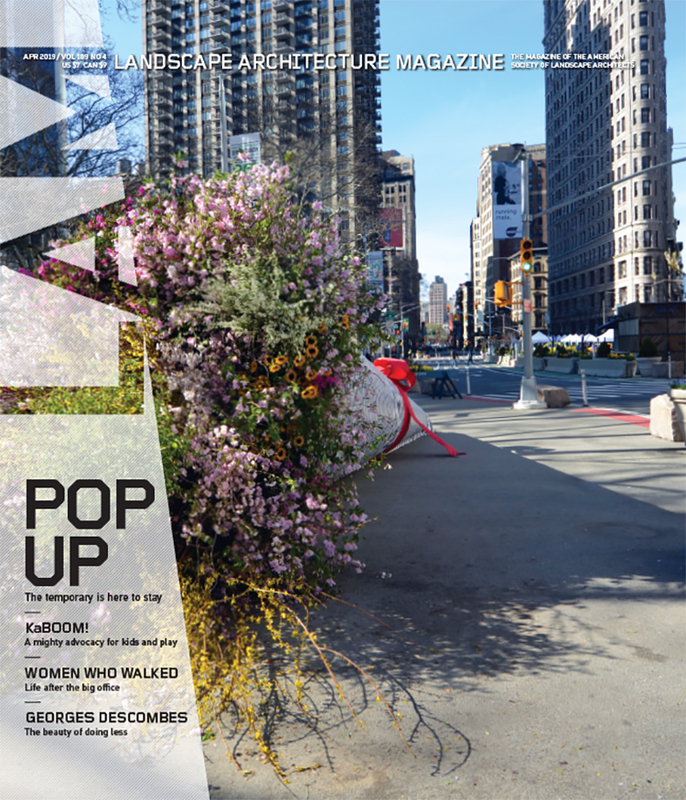 Elizabeth S. Padjen, the founding editor of ArchitectureBoston magazine from 1998 to 2011, is an architect and writer. Your idea of brick sidewalls for landscape is great. Brick sidewalls avoid problems such as vibration. Thanks for sharing this idea. The lack of maintenance is the major problem regardless of material. Thank for an such excellent post if any one is who is looking for blog related to bricks then this will be the best blog for them. Please keep posting such blogs with us. We are seeing a lot of this in Georgia towns whose authenticity is tied with concrete, not brick. Putting in brick changes the historic character of these towns and gives off a “phony-Coloni” look. My wife is from Boston. That city is certainly leading the way in design and construction of public facilities with the needs of the disabled in mind. Our company has also installed a number of “disability-friendly” concrete structures, such as disabled ramps.